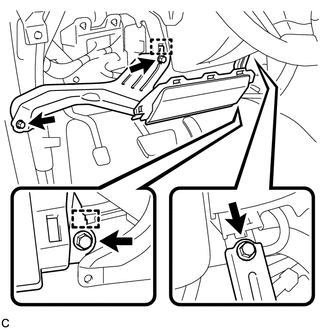 (c) Connect the driver side knee airbag connector to the driver side knee airbag assembly. (d) Connect the DLC3 to the driver side knee airbag assembly with the 2 claws. 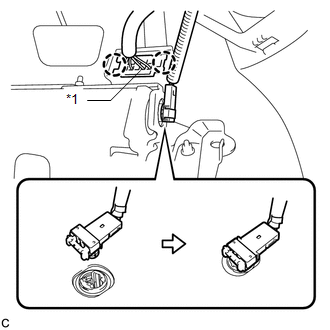 (e) Temporarily install the driver side knee airbag assembly with the 2 hooks. (f) Install the driver side knee airbag assembly with the 4 bolts.